A recent article posted on Dividend Mantra got me thinking again about the sector allocation of the Money Sprout Index. When my wife and I first started investing in dividend paying stocks, we felt that the best option for diversifying our portfolio was to purchase stocks evenly across all sectors. Our goal was to split these investments up equally (10% in each sector) into each of the 10 sectors. That way we would be truly diversified across each of the sectors, which would help us withstand any market condition. The problem with that kind of sector allocation strategy is that it doesn’t work for dividend investing. First of all, some sectors offer very few companies that pay a quality dividend while other sectors are overloaded with companies. Just look at the sector allocation below for the companies found in the Money Sprout Index. For example, we own 8 stocks that are in the Consumer Staples sector while only 1 stock in the Utilities, Telecommunications, Materials, and Health Care sectors each. Those numbers alone should point to a pattern that there are some sectors with tons of dividend stocks to choose from (i.e. Consumer Staples) and others that have very few options (i.e. Materials). Note – I recommend reading the article posted on Dividend Mantra for additional information on building a diversified dividend income portfolio. Another important factor that goes against an evenly split portfolio is that there are expensive stocks and there are cheap stocks at any given point in time. This means that there may not always be an attractive stock to buy in certain sectors when you have funds to invest. My wife and I only recently bought our first stock in the Materials sector (BHP) as it was trading at a discount. And I am still trying to find another good investment in the Health Care sector other than Johnson & Johnson (JNJ). Meanwhile, we seem to adding Consumer Staples stocks and even Financial stocks (AFL, O, and OHI in the last 2 months alone) to our portfolio. We would much rather buy a stock that is trading at a discount and be a little over-weighted in one or two sectors. 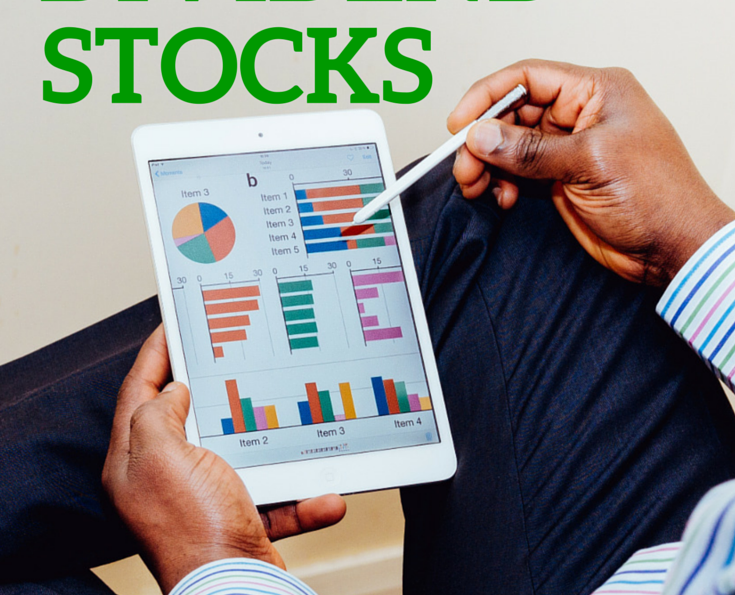 Note – For more information on how we select stocks to buy, follow our 8 steps for picking stocks that we use at the beginning of every new month. Instead of focusing on allocating 10% to each of the 10 sectors, we would rather focus more on individual stock allocation. For example, we don’t want to have 1 or 2 stocks making up significant portions of our entire portfolio. We also want to have the ability to add stocks when they are trading at a discount. Setting up arbitrary rules for asset allocation in a dividend income portfolio may prohibit us from adding quality stocks trading at a discount. For reference, our current asset allocation of the Money Sprout Index is listed below. As we continue to invest and build the Money Sprout Index, the sector breakdown of stocks is constantly changing. Our portfolio weight across different sectors looks much different today than it did 1 year ago (or even 6 months ago). Note – The allocation above is at a point in time and has likely changed by the time you have read this. For updated sector allocation of the Money Sprout Index and other useful investment information, please refer to our dividend resources page. Overall, I think our sector allocation is acceptable for the stage that my wife and I are at in building the Money Sprout Index. Our top 4 weighted sectors (Financials, Industrial, Consumer Staples, and Consumer Discretionary) seem to offer the best options for building a dividend income portfolio – especially for those just start out. Is sector allocation possible in a dividend income portfolio? Do you set any rules to build your portfolio of dividend stocks by?